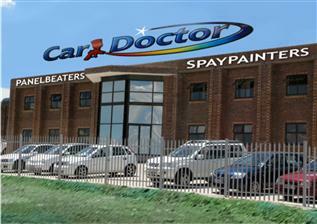 "thank you for excellent service "
CAR DOCTOR specializes in panel beating and spraypainting. 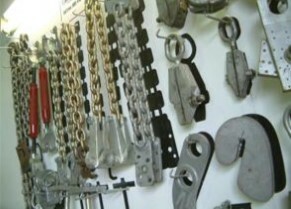 They are fully accredited by the major manufacturers and have 11 qualified panel beaters and spraypainters with a combined experience of over 150 years. Owners Stephen and Merle Holloway worked for the company and then subsequently bought it in 1998 from the Swanepoel family. The pride of our business is the quality of our service as well as the quality of the equipment we use in repairing and taking care of your vehicle. 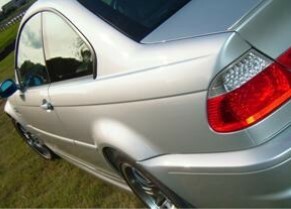 Client vehicles are in a safe environment, with excellent security in place. All our work is guaranteed and we only use the latest technology in all our services that we offer. We take pride in the comprehensive service we offer our clients and will gladly assist you in any way we can. Car Doctor is going from strength to strength. By providing great working conditions for its staff, incentives are used for getting work done promptly and correctly.This way every staff member ensures that the client is absolutely satisfied with the repair to their vehicle. 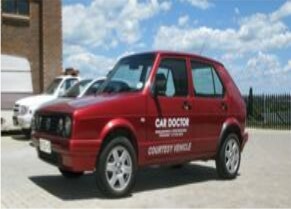 Going forward, Car Doctor aims to achieve full accreditation for all other vehicle makes. This will ensure that all our work is backed by the vehicle manufacturer. The advanced building techniques of vehicles today, make it impossible to repair without the correct equipment. 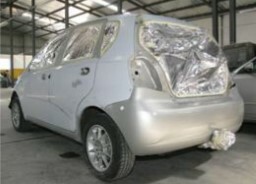 This is as a result of the extreme tolerances to which vehicles are assembled today. 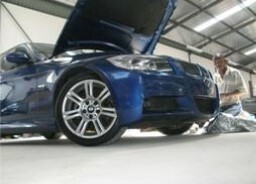 Car Doctor makes use of the latest available equipment which allows us to repair a vehicle to its original condition. Our Major Structural Repairer certification is as a result of the tools at our disposal. For chassis straightening and measurement, we use the EZ Liner body squaring and alignment system Your vehicle is squared and realigned with controlled and precise pulls on a Chief EZ Liner. This is the one and only totally advanced collision repair system that both analyzes and repairs damage to any vehicle or light truck from the most compact unitized body vehicle to one-ton pickups. The Chief EZ Liner combines the most advanced principles of damage analysis with a unique multiple/simultaneous pulling repair process. This means our staff can analyze the damage throughout the vehicle and then, using equalized pressure of multiple/simultaneous pulls, remove the damage and in effect, reverse and correct the damage to the vehicle. Our precise Universal Gauge-Measuring System remains attached to the vehicle throughout the process assuring precise and accurate repair. We begin by rolling or winching your vehicle onto the lowered EZ Liner. Then the EZ Liner is raised and our Universal Gauge-Measuring System is installed. This analysis tells our technicians the exact extent and location of all damage. This information can now be used in selecting the precise anchoring, blocking and pulling angles. Next we anchor the vehicle's center section to the EZ Liner. Damage repair on an EZ Liner happens from the middle outward, so no damage is missed. This feature is most important considering the interrelationship of all sections of unitized vehicle, front to back, top to bottom. When it comes to the actual repair, the unmatched accuracy and speed of the unique multiple/simultaneous pulling of the EZ Liner goes to work. We control all the pulling action with a single precision remote hand switch. This keeps the operator free to observe each step of the repair process from all angles and with 360 degree access to the damaged vehicle, towers can be positioned at the correct pulling angles. The Multiple/Simultaneous Pulling process with equalized pressure means we repair all damage at the same time, in fact, damage is removed by actually reversing the collision effects. Throughout the entire repair process, the Universal Gauge-Measuring System is constantly monitored and measurements verified for accuracy with Chief's manufacturer's specifications manuals. Chief's Strut Tower Upper Body Gauge is used on unitized bodies to detect suspension misalignment. And special pulling attachments are used if strut towers and suspension components need repair. 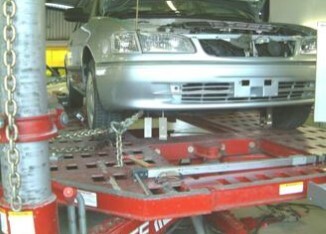 Our total and advanced universal gauging system allows us to align the entire vehicle as a single unit, thereby simultaneously coordinating each section in proper relationship to the rest of the vehicle. 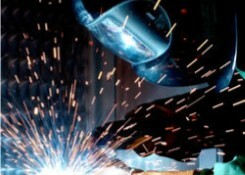 Only correct welding equipment is used to ensure any welding matches the original strength of the vehicle. 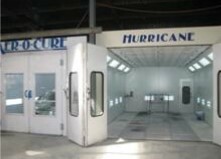 Car Doctor utilizes a computerised mixing bench to ensure that the paint is correctly matched to your vehicle. 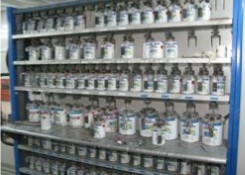 All painting is done in the spray booth that is completely sealed and dust free. The temperature in the booth is adjusted for optimum spraypainting conditions. All paint is heat-treated with infrared heaters. This allows the paint to cure correctly. 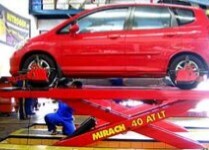 The vehicle is first sent for electronic wheel alignment. The vehicle is therefore once again checked against strict vehicle tolerances. The vehicles are then test driven by the owner himself, to ensure everything is working 100% . The entire vehicle is once again checked before delivery back to the client.